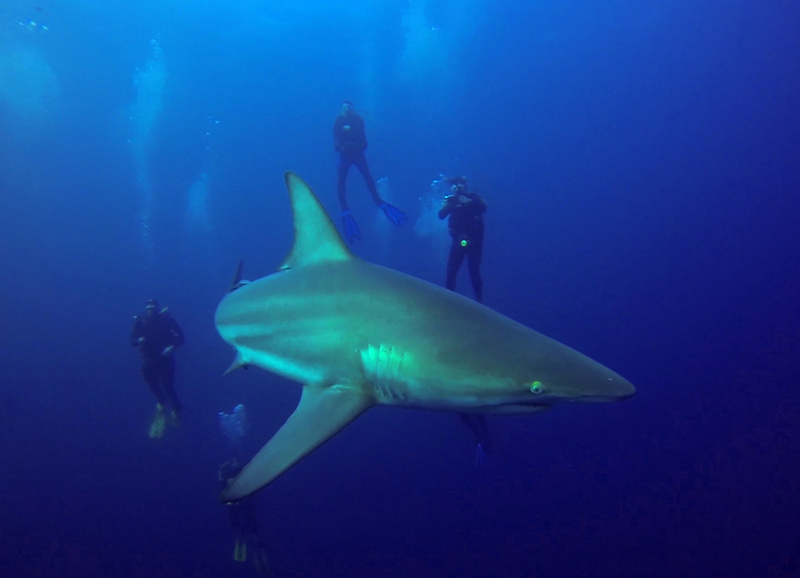 Whether you’re a SCUBA diver, a surfer, or you just love trying to stay upright amongst crashing waves, the perceived danger of sharks may have crossed your mind. If being solo in the ocean makes you nervous, if murky water gives you second thoughts, or if the gentle touch of seaweed launches you back onto shore, well then, you’re not the only one. It’s okay to fear sharks. More so, it’s very understandable if you feel that way. The details of how a particular shark attack occurred can not only be scary but the stories of a lost human life are always tragic. Consequently, this information can stick with you for a long time. In fact, the reason why so many of us, ocean-lovers, can very well recall the details of shark attacks is because they are so rare. With a worldwide average range of 5-15 human fatalities every year due to unprovoked shark attacks, these few events are easy to remember. So yes, it’s okay to fear sharks but it’s not okay to condemn sharks as a result. Often people debate that shark attacks occur due to an overabundance of sharks. For instance, in 2013 the Western Australian government approved a very controversial shark cull which permitted the destruction of any shark reaching 3 meters or more in length. The guidelines do not provide exceptions for endangered species and with the latest data showing a 25% decline in sharks and rays, both scientists and activists have been left to wonder what could be the long term effects of these actions. This is because sharks maintain a healthy balance within marine habitats which, for instance, has provided people with some of the world’s most beautiful dive spots. If shark attacks are not caused by too many sharks in our oceans, then you may be wondering, what does cause a shark attack? Before tackling that question, you must first understand the true definition of a shark attack. If you were to look up the latest statistics on shark attacks you will notice a very careful wording of these events; they are called, “unprovoked shark attacks”. The Australian Shark Attack File (ASAF) uses several key criteria to define human-shark interactions and what constitutes an encounter that is outside of your control. Some of the specifics may seem so obvious to you to be unnecessary to state, such as, “a person is alive and in the water at the time”. However, with story titles in the media such as Possibly Suicidal Surfer Likely Attacked By Shark After Death, it becomes clear that societal perspectives on what constitutes a shark attack do not align. The danger of these flashy headlines is how misleading they are. In the end, lumping together true shark attacks with scavenging incidents distort what the real trends are in unprovoked attacks. For a more in-depth list, head to this page by ISAF. Their listing includes many of the tips you may have heard before on how to stay safe in the water. Some of these are: always dive with a buddy, avoid dusk and dawn and avoid murky water. Another important element to consider in unprovoked shark attacks is that an attack does not constitute a fatality. Attacks without fatalities occur much more frequently. In the Continental US for example, 1022 attacks have been recorded from 1520-2014 and only 36 were fatal. More so, events that constitute as an attack can often result in minimal or zero injury. In addition, these interactions may be so quick that properly identifying the shark isn’t always possible (which is an important element to understanding the science behind an attack). Some attacks will never be understood, just ask Ryan Seacrest! You should then keep in mind that over-analyzing some of these situations may not be the best strategy in truly mitigating your safety. For instance, did you know that American Idol host, Ryan Seacrest, was bit by a shark? Allegedly, Seacrest was bit by a “sand shark” while wading in the waters of Cabo San Lucas, Baja Mexico. The one meter shark left several holes in his toe. Despite Mr. Seacrest’s discomfort, this may not be what you picture when you think of a shark attack. It should also be noted that if Mr. Seacrest is referring to a sandtiger shark (Carcharias taurus), the Eastern Pacific is not part of their range and unless just born, adult sizes exceed 2 meters. 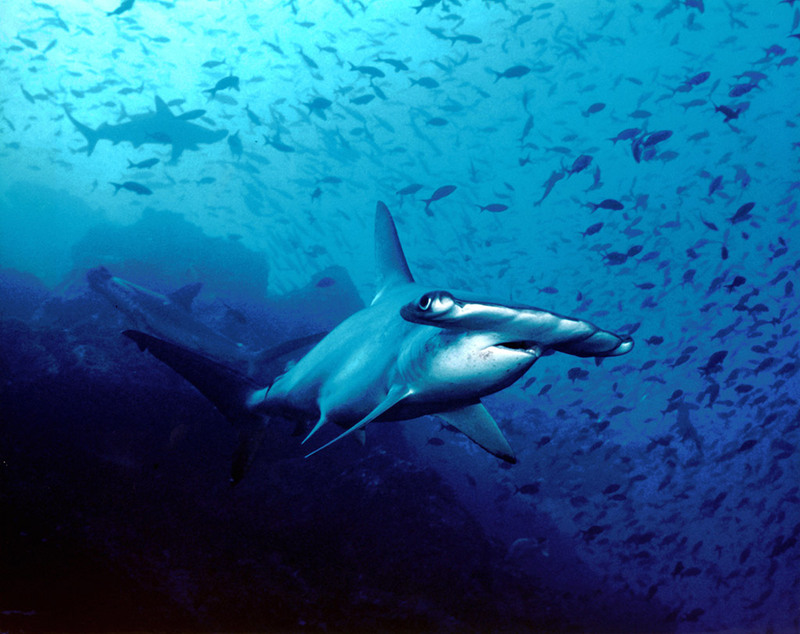 Attracting sharks with bait (regardless of subsequent feeding) is one of the most common provoked scenarios that divers and other ocean lovers may find themselves involved in. The safest strategy is simply not to participate. 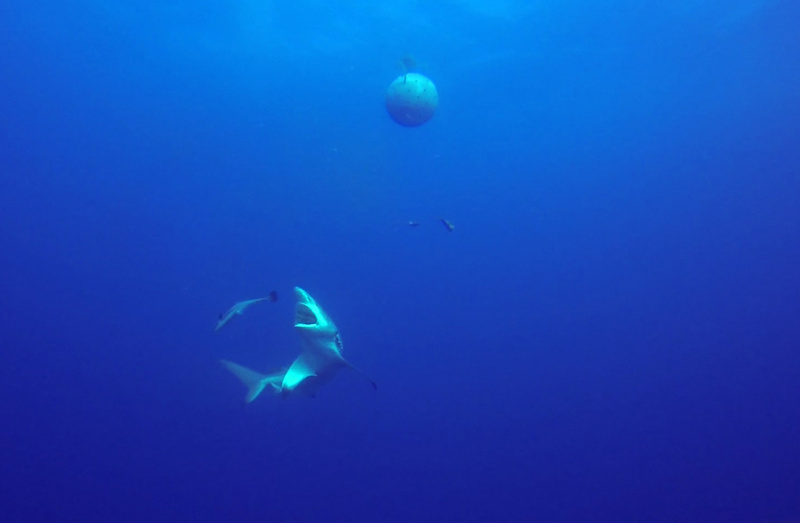 Many divers believe the best way to see a shark is to wait for a natural encounter. Nevertheless, others believe shark feeding or just attracting with bait (chumming) can be done safely. Many dive operations have been successful so far with this approach. If you intend to participate in a shark dive which will involve feeding and/or chumming, then here are some things you should consider before entering the water. Make sure to read the details of how a dive operation works and what strategies they use to maintain human safety. Operations that use cages are the safest option but no-cage experiences are common for certain species. Great white shark dives, however, should always use cages. 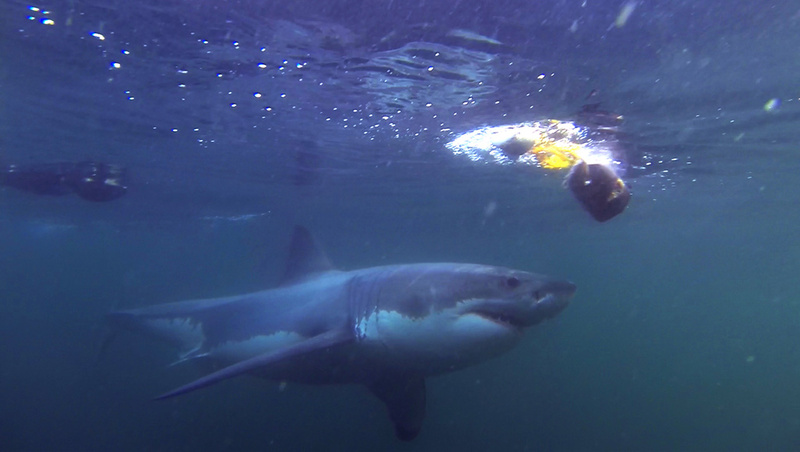 Diving outside the cage with white sharks is fully if not mostly illegal worldwide. Though there are permits that allow for exceptions, you should be wary of an operation that does not enforce a stay-in-cage rule. In addition to researching a dive operation’s website, you should also search for testimonials outside of what they provide. Certain areas may have government sanctioned regulations on how to interact with sharks. Your dive operator may not review all these rules with you since some may not require any action on your part. It is important, however, to know this information for yourself so you can recognise if the law has been broken and if human safety is at risk. For instance, the Gulf of the Farallones National Marine Sanctuary, home to some of the largest great white sharks (Carcharodon carcharias) in world, has declared it illegal to chum (use food attractants) even though it is common practice in many other regions. Regardless of how comfortable a dive master feels with doing this, you should always avoid hand feeding a shark. More so, an operation that encourages tourists to partake in this may be a sign of poor safety practices. Though these listings are for unprovoked attacks you can assume that interactions with these sharks should be taken with the greatest of care. 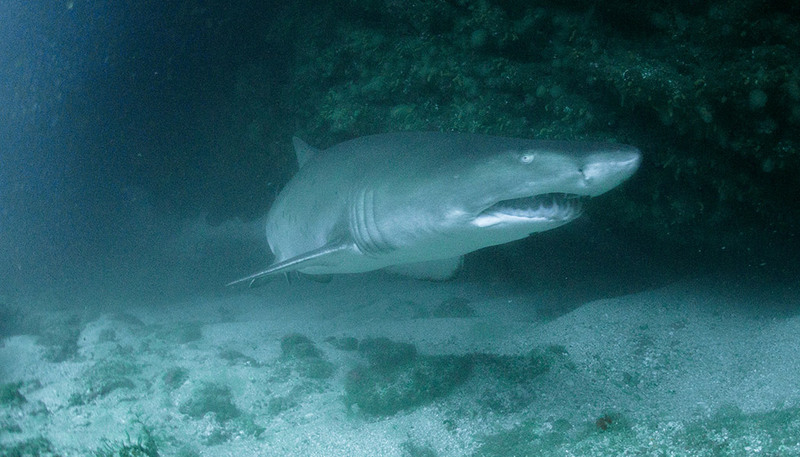 Nevertheless, divers are often misguided by the calm nature of coastal sharks, such as nurse sharks (Ginglymostoma cirratum) which can often be found lying motionless on the sea bottom. 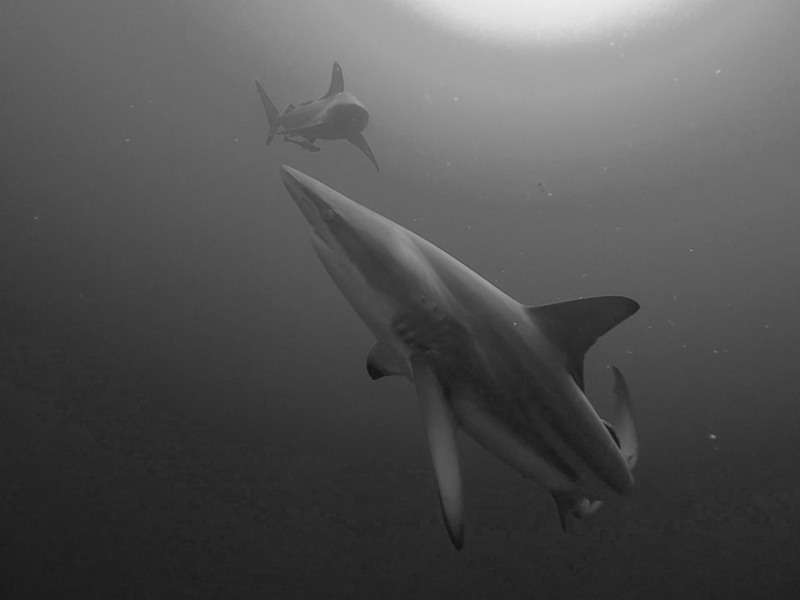 The ability to approach such sharks has often emboldened a person to grab these otherwise tranquil creatures, which has resulted in provoked bites. Although some shark species are considered more aggressive than others, when an individual becomes aggressive they tend to exhibit similar behaviour across species. Aggressive sharks tend to hunch their backs, lower their pelvic fins and swim erratically. Erratic swimming could lead to the shark making lunges towards you or your dive partner, which is why aggressive behaviour merits your full attention. If you have food or you are near food, separate yourself from it immediately. Other tips include staying near the bottom with your back against some sort of structure to avoid an attack from behind. If this is not possible, go back to back with your dive buddy and ascend to the top (or head for shore). For more information, check out this article, published in Marine and Freshwater Behaviour and Physiology. In this article, if you jump to the results you can read up on detailed aggressive behaviour on several species in particular such as the sandtiger, white, and Caribbean reef sharks. In addition, if you jump to the discussion section, there is also an entire section entitled, “Critical Approach Distances and Diver Safety”. 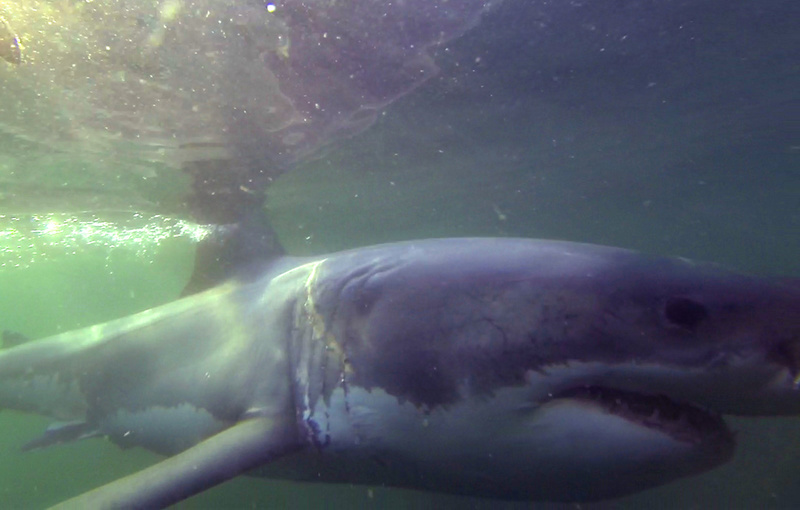 This section will give you a sense of how close you can approach a shark and for how long. Oftentimes, provoked attacks occur when a shark feels cornered or trapped. The very real shark cull in Western Australia (WA) plays out like the movie Jaws in which solutions to protect beachgoers seem based more in fear than anything else. When people ask themselves, “Why do shark attacks happens?” what they really want to know is how to prevent them. Arguably, effective management is already in place in WA which alerts people when a tagged shark approaches the beach. In addition, Recife, Brazil, a notorious area for shark attacks, has found their method of towing sharks out to sea (alive and well) to be 97% effective in prevention thus far. This approach has yet to be attempted in other places. Yet another reason to be wary of shark culls is a past study based on an 18 year practice of shark removal in Hawaii which showed that shark attacks during and around this time did not change. Relative risk is therefore important for putting the real threats in perspective. For instance, in WA the number of shark fatalities in 2013 was one and the year before that, there were two. At this same time, 14 people drowned at beaches through July ’12- July ’13. Overall, drownings have reportedly sky rocketed in WA by 130% over a 10 year average. Better than facts, reading about people’s personal encounters with sharks could put your mind at ease. There are even websites such as the Shark Attack Survivors for Shark Conservation, which are a great testament to overcoming your ultimate fear despite it coming true. In addition, talk in person with divers who have dove with sharks and learn directly from them the strategies they use in the water. Most importantly, before you jump into the deep blue for a shark experience, talk to a shark lover. Drop the facts, forget the statistics, and just listen to a shark lover tell you the story of how they fell in love.